Your baby will love finding Sophie the Giraffe and all the characters from the Sophie baby toys range in Sophie la Girafe: Colours! This globally best-selling rubber teether that has helped babies (and mums) all over the world get through the terrible teething stage is now here to help babies learn about their favourite colours. Perfect for reading aloud and encouraging first words and early reading, your baby will love the playful images and bold type. 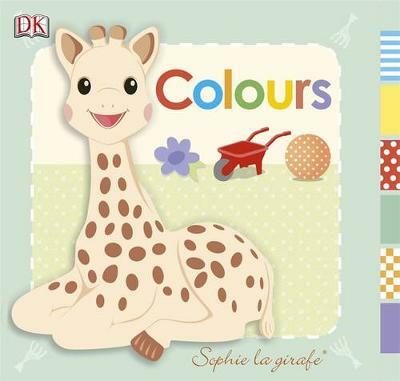 Babies and toddlers will want to investigate and explore Sophie la girafe: Colours again and again.